Few Angelenos are aware that the tiki bar scene originated in Los Angeles. Introduced in the mid-1930s by “Don the Beachcomber” after a trip to the Caribbean and South Pacific, Tiki gained traction due to its association with the tropics and exotic Polynesian lore. A few years later, Victor Bergeron opened the first of what would become his Trader Vic’s empire. 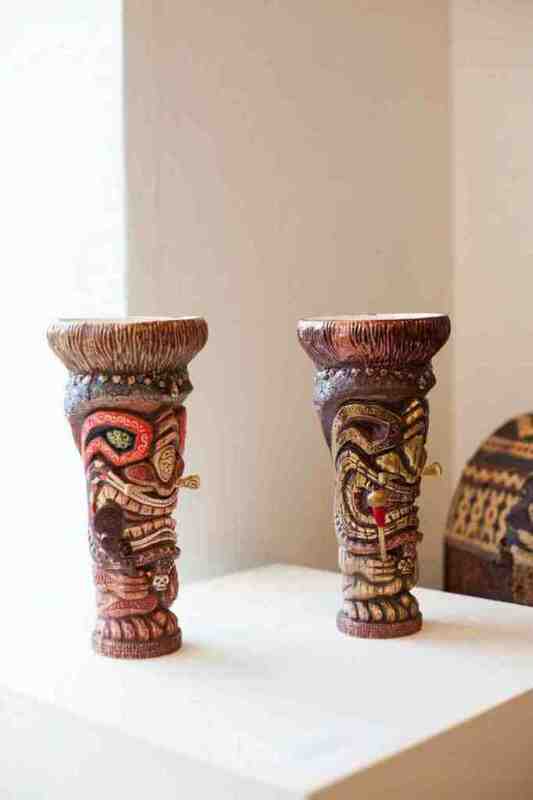 A market for Tiki barware was quickly born, and still there are craftspeople today making objects for aficionados and admirers alike. Crazy Al Tikimania is one of them, and two of his Tiki mugs are on display in our exhibition, Crafting the Cocktail. Kick off the New Year with us on January 10th to learn more about all-things-Tiki. 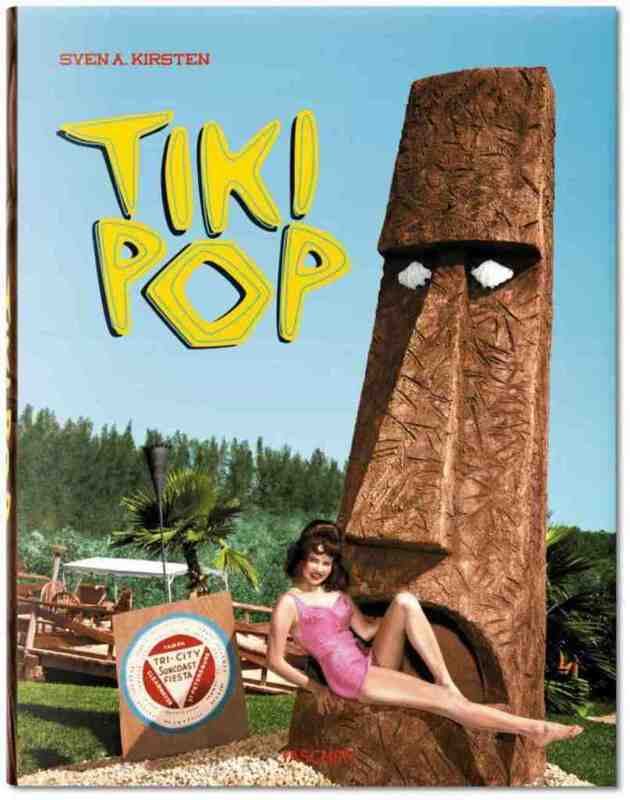 Collector and Tiki aficionado Sven Kirsten will be sharing a pop-up exhibition of his collection and signing his new book, Tiki Pop: America imagines its own Polynesian Paradise (Taschen), published in conjunction with his recent exhibition at the Musée du quai Branly in Paris.